Staple items for every man range from a great pair of jeans to sleek boots. Another piece every man should own is a classic pea coat. While the name may not sound very appealing, this overcoat has the power to dress up the simplest of outfits. 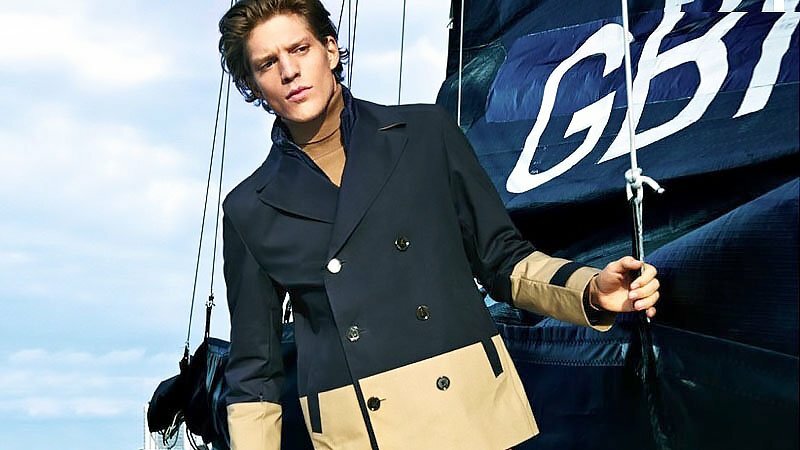 For the ultimate go-to for this popular style, peruse our guide on how to wear a pea coat for a 101 on harnessing an old favourite. 1 What is a Pea Coat? 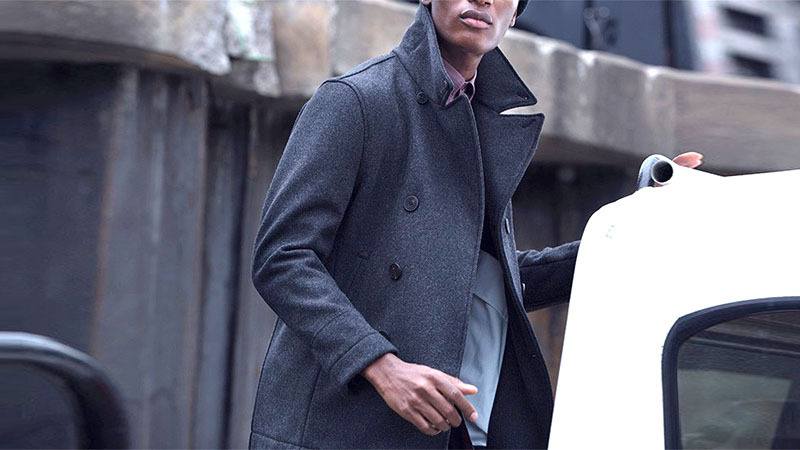 With its marine origins, a pea coat is defined as a short double-breasted overcoat which was typically made with heavy melton cloth. It traditionally features large notch lapels and has bigger buttons on the front of the jacket. 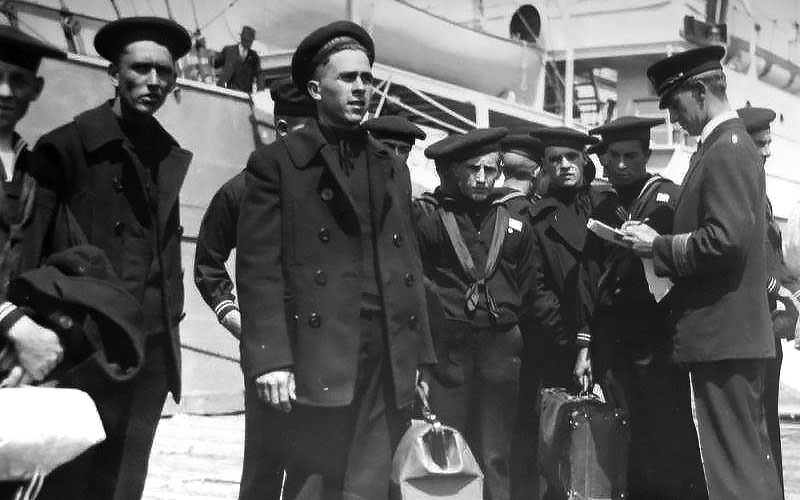 A beloved staple of autumn and winter, it was historically worn by sailors. 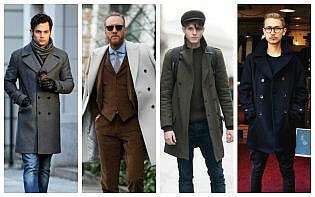 Structured and masculine, this type of coat tends to amplify a simple sweater and jeans/chino combination. This coat is identifiable not only for its stylistic worth but also for its functionality – this is a utility piece that will warm you up in the midst of the colder months and will afford lots of practicality. Pea coats are quite versatile. They can be worn with corporate wear, dressed up or down with your casual weekend looks. Regardless of how you style this item, the most important thing to remember is the shape and quality. 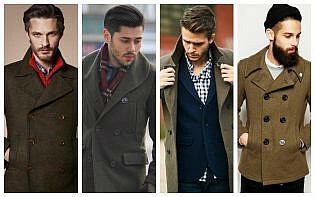 You will want to invest in a pea coat that will fit well and won’t ruin after a few wears. When styling this item, leave the bottom button undone as you would with a blazer – this allows for a better hang when you are walking. Black is considered the ultimate shade, but at times it can work to hinder colour combinations. When styling a dark coloured pea coat for casual days, team it with other classic colours like reds and whites for a simple, yet more dimensional approach. A chino in a different tone can work well with black and also add textured scarves and denim pieces for a bit of distinction among this dark shade. Don’t look past a simple sweater to wear under your coat for relaxed, casual days. A black pea coat is also a worthy option for corporate wear, particularly when paired with a grey suit. 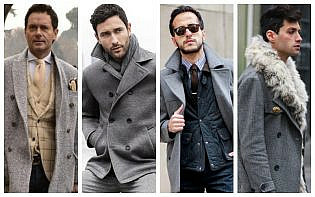 Grey pea coats can be a nice change from traditional black. Think strategically about what colours you will want to team it with. White is the ultimate shade to complement a lighter tone grey pea coat. Charcoal greys can be teamed with other traditional colours like navies, burgundies and emerald greens. 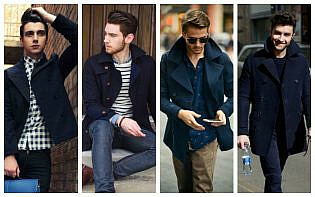 Navy is the ultimate colour choice for practically anything, and pea coats are no exception. Teamed with blue jeans or chinos in various colours, a navy pea coat works particularly well for casual days. Turtlenecks or cable knit sweaters are great underneath and will read preppy yet still understated. We would have guessed that green was the traditional colour of choice for a pea coat. While this is not the case (navy is the historically favoured colour), green is a worthy alternative. Emerald, forest and khaki greens are the three shades you should be searching for when trying to find the perfect green pea coat. These shades of green are the most versatile and can complement a broad range of richer, classic tones (think rich burgundy, deep navy, dusty brown and dark wine). Green also works favourably with black, so don’t be afraid to pair a green pea coat with black denim jeans and black t-shirt combination or with a standard black suit. The ultimate for gents who favour predominantly neutral clothing, camel is classic and brings warmth to your existing pieces. 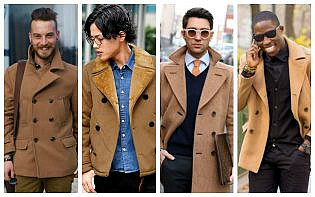 Team your camel pea coat with beige, khaki and wines for a traditional interpretation of the trend. Camel can also work well with blacks, which will register modern and youthful, particularly if your tailoring is done correctly. Also, be sure to annotate looks that incorporate camel pea coats with novel accessories to boost the appeal of your coat. 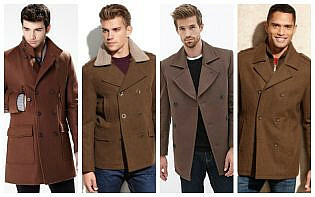 In the same colour family as camel, a rusty brown is also a great colour alternative to a pea coat. A rich, deep brown is one of the most favourable tones to work with because it goes with almost everything. 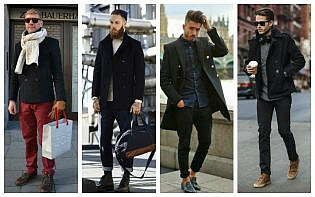 If you are a fan of navy, a rich brown pea coat will be a more worthy investment that black. The trick to pulling off a brown pea coat is to ensure that the tailoring is just right – a younger, more modern silhouette will ensure that it reads stylish as opposed to outdated. While not many of us would rock a long pea coat on a daily basis, there is most certainly a time and a place. Utilising a longer pea coat with your corporate wear can be a great way to keep warm, but also to add a bit more colour and dimension to a usual suit. Slung over your shoulders is another way to rock a longer pea coat, and it will read more relaxed yet still put together.